Prevents acne, eczema, skin dryness. Perfectly improves skin, nails and hair condition. Best is the cold pressed and unrefined, because then it preserves its nourishing properties. The valued in cosmetology emollient we talk about is evening primrose oil. Meet properties of this meadow plant. No one has ever assumed that such effective product can be so easily available. Just take a walk on the meadow and search for this common plant with beautiful, yellow flowers and small, green leaves. It has up to 100-120 cm, and its diversity is hidden in tiny, hard seeds. These are the one used to obtain the evening primrose oil. 75% linoleic acid, omega-6 (polyunsaturated). 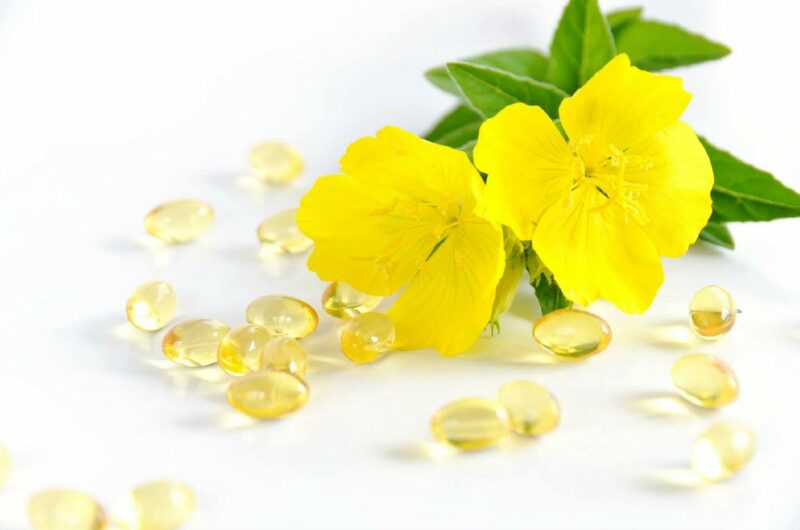 The analysis of fatty acids content in evening primrose oil is really simple. It provides wider view into the oil’s properties and possibilities of its use. There are plenty of questions that can be answered. For instance, for what hair type is evening primrose best? Natural evening primrose oil is an excellent solution for people with dyed or damaged hair, which underwent permanent wave treatment, but also people using hair dryer, straightener or heavy cosmetics.